Let’s up that productivity in InDesign with these 10 lesser known keyboard shortcuts for MAC & PC. These shortcuts are in my rotation constantly and really impact how quickly I perform some common tasks in my print projects. Check out the complete list below and watch the video to see the shortcuts in action. This is my favorite shortcut and takes the typical duplicate shortcut ALT and puts it on steroids! By adding SHIFT to ALT, you can constrain the position of your item while duplicating it at the same time. You see me pull out this shortcut a lot if you have seen any free tutorial here at Design Procademy. This easy shortcut lets you quickly swap between normal and preview mode. Preview mode is like looking at the final result if it were printed. This mode removes all guides and lines blocking a clear view of your design. 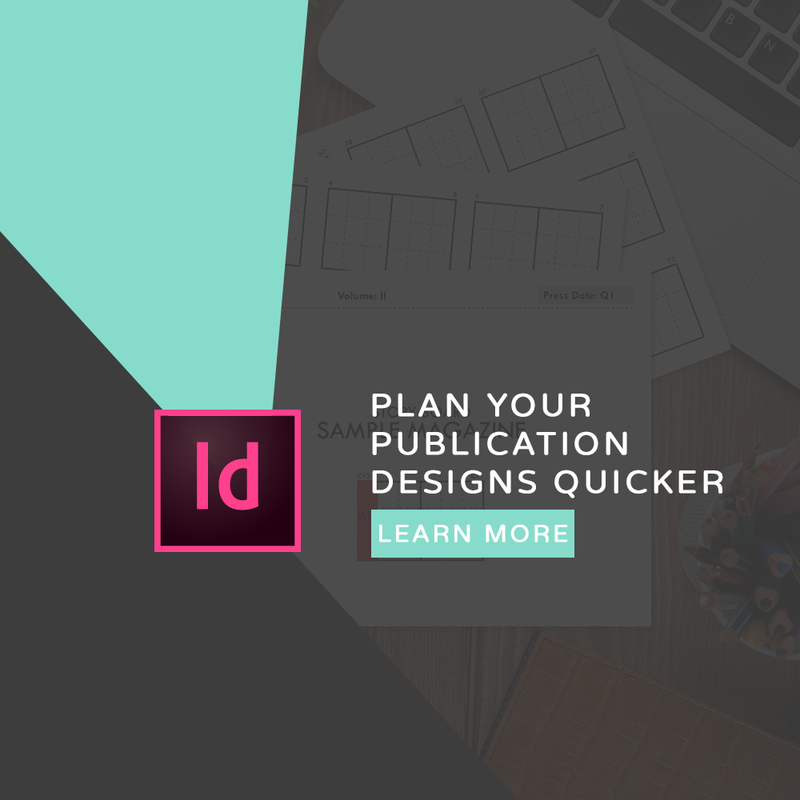 As you get better and more comfortable with InDesign, you may find yourself designing in this mode more and more! This quick trick helps center and show you the entire page without having to zoom out or use any other key. Quickly see your progress with this shortcut. This shortcut feeds off number 3. Take control of your zooming needs with your plus and minus keys and CMD/CTRL instead of using the zoom tool from the tool bar. This is such a time saver when working with text. If you want some extra space in between your text, don’t hunt around the Character pallet. Simply SELECT YOUR TEXT then hold down ALT and tap your RIGHT ARROW to increase space or your LEFT ARROW to decrease space. This is a shortcut you may need to see in action. These 3 key combos quickly transform an item larger or smaller while keeping it in the same place. This shortcut essentially transforms the size of your object from the center instead of the corners keeping it where you put it. If you ever have the need to quickly remove the color from an item, the BACKSLASH / tool is your friend! If you aren’t sure whether your fill or stroke is activated, just hit X. This handy shortcut will keep your items stroked and filled with ease! No more accidental fill or stroke. Take the shortcut in number 8 to the next level by adding SHIFT. With an item selected, this will quickly swap between fill and stroke right on the item. This shortcut saves a ton of time if you have a multi-page document such as magazine or book. Say you need to swap 2016 for 2017 across several catalog pages. Use the CMD/CTRL + F to use the Find/Change feature. Not only can you quickly find a piece of text in a multi-page document, you can also change it to whatever you want no matter how many instances you have in your document. You can also change only one page or several across your document. Be sure to watch the video to see this one in action! Now it’s your turn! Let me know some of your favorite InDesign shortcuts in the comments! Hi! I’m Nicki and I’m the Owner/Creative Director of Multi-Designs, a design studio focusing on print, web and marketing services. I work with clients on a variety of design projects and also specialize in complete marketing campaigns for small businesses. I also share design tips and tutorials through Design Procademy's Design Like a Pro on Youtube and Envato's Tuts+.